The Vaquero Heritage Trainers Challenge is happening October 10th, 11th, and 12th at the Sterling Arena in Tehachapi. 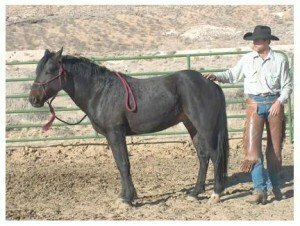 Using the feral horses of the Oak Creek Canyon Ranch, five trainers are working ten horses. The first horse each trainer will show is one they received from Oak Creek back in June. They have been able to work with the horse, create a bond, and will be showing off their talents. The second horse they will be seeing for the first time at the Vaquero Heritage Trainers Challenge. They will have three days to build a relationship and put a start on the horse. 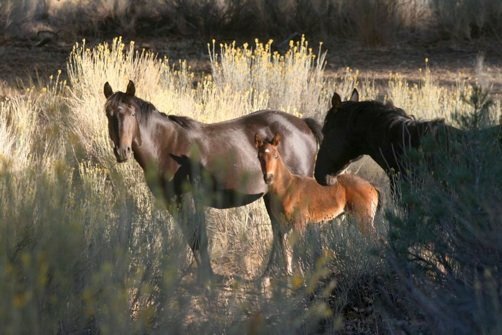 The horses of Oak Creek Canyon are believed to be descended from Morgan horses that were turned loose or escaped from some early Morgan horse breeders in the area. With California in the midst of a severe drought, the feral herd has taken its toll on the land. In an effort to bring the land and the horses back in balance, efforts are being made to more effectively manage the herd. 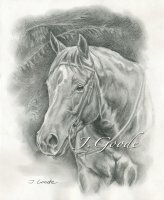 The horses are smart, sure-footed, and have a good disposition. 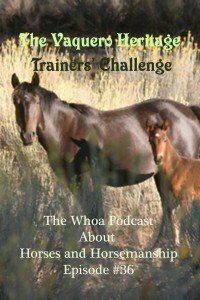 Jeremy Dunn of the JB Cattle Co. is the organizer of the Vaquero Heritage Trainers Challenge and joins us on the show to talk about the format of the event, the trainers up for the challenge and these very unique horses. We knew these horses’ ancestors 30 years ago when there were two good-sized herds @ Oak Creek Canyon.